A crash in Chesapeake injured three people at a red light earlier this week. News reports indicate that the August 23rd accident occurred at the intersection of Military Highway and Canal Drive around 10:45 in the morning. Three cars were at a red light when a fourth car slammed into the back of them. Three people sustained non-life threatening injuries, but two needed to be taken to the hospital for treatment. Police have not indicated a reason for this crash, but in incidents like this one, it’s likely there was some form of distracted driving going on. With the ubiquity of smart phones these days, there’s always a good chance that a driver is distracted in some way. Of course, drunk and drugged drivers are also to blame for rear-end accidents, too. Until we know more about the at-fault driver, it is impossible to speculate. Rear-end collisions like this one can lead to serious injury. 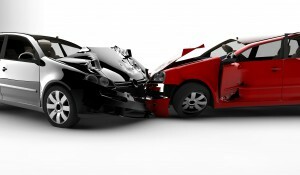 Head, brain and neck injuries are all common in rear-end accidents. Some of these injuries aren’t immediately obvious to paramedics or even victims themselves. It can take days for the shock to wear off and the pain to really set in. We encourage these victims to keep an eye on their health this week. Multi-vehicle crashes – especially ones that are caused by a single motorist – can be confusing to deal with when it comes to insurance. Consulting with a Virginia car accident attorney can help you get the compensation you need to cover medical bills, lost wages and repairs for your car.